Owner Peter Henry and the team at Bundaberg Harley-Davidson have put together this stunning Breakout, that possesses an inspiring blend of good looks and raw power. Performance Machine Paramount Wheels, with matching Rotors & Pulley, and Open Belt Drive are the first additions to the 2015 Breakout that catch the eye. 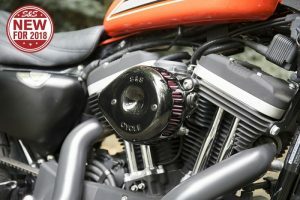 The S&S 124″ Engine, S&S Teardrop Air Cleaner and Baker Drive Train DD7 Transmission Cassette give the bike fistfuls of power, pulling 117bhp and an incredible 125.8 ftlb of torque on it’s first dyno run. A host of additional Performance Machine parts complete the stunning transformation.